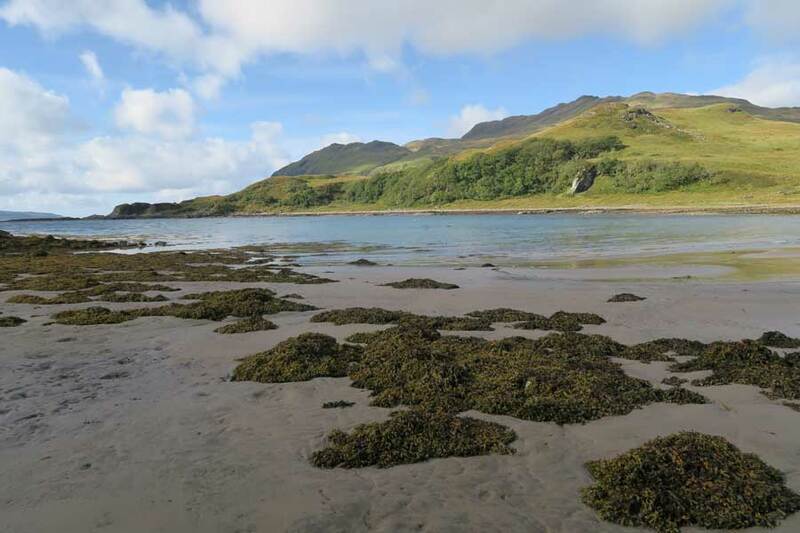 The beach is lovely at low tide with stunning views over Loch Sunart. 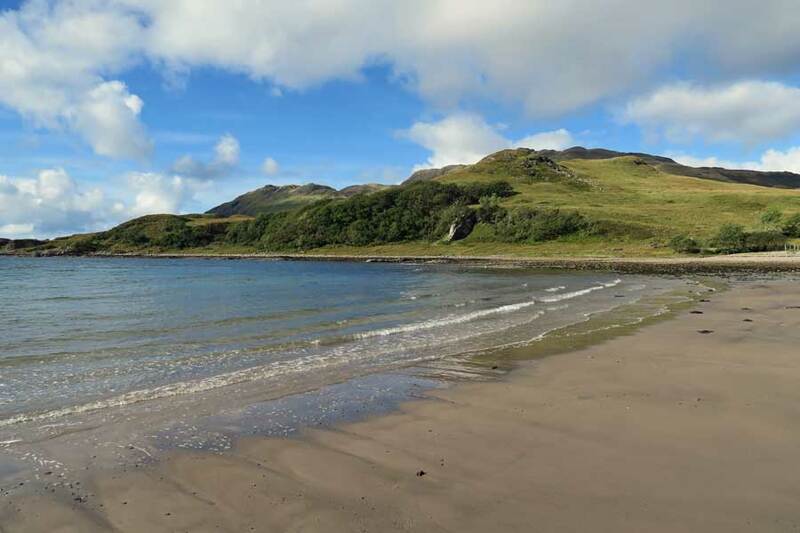 The beach is not the only attraction of Camas-nan-geall. 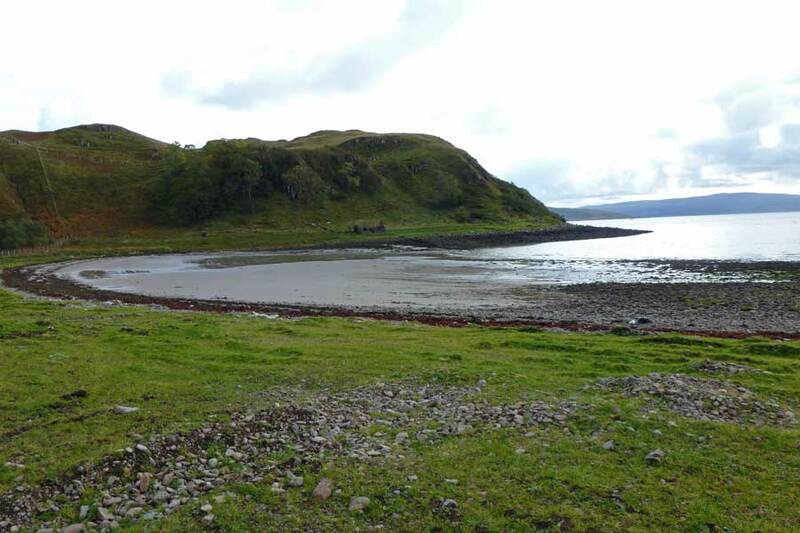 There are some lovely remnants of Atlantic hazel woodland to the east (left) of the bay, whereas if you head west you can walk along the coastline towards Macleans' Nose and up to the deserted village/clachan of Bourblaige (a Historical Environment Scotland scheduled site). 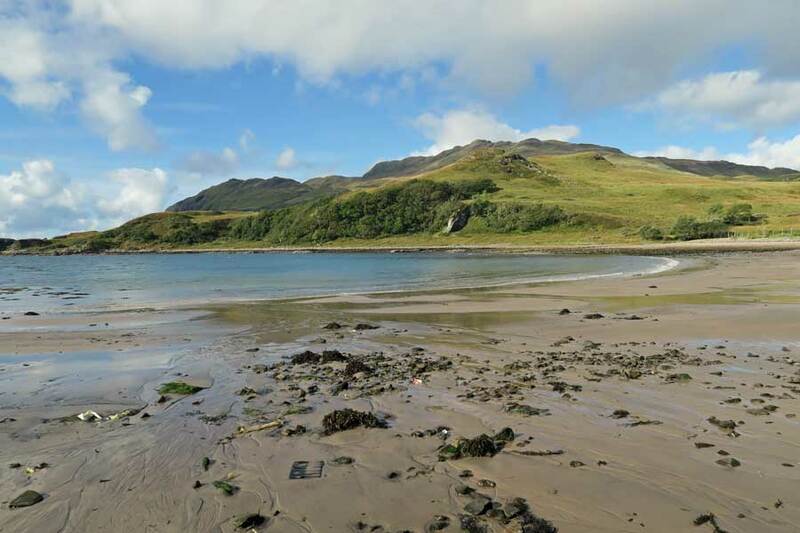 This stretch of rugged shingle coastline is a great place for a seashore safari and there also have a good chance of seeing golden eagle soaring over Ben Hiant. 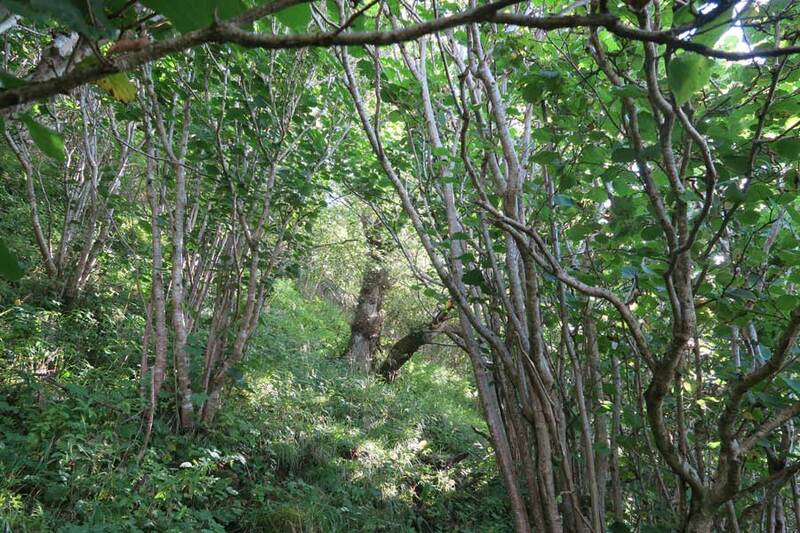 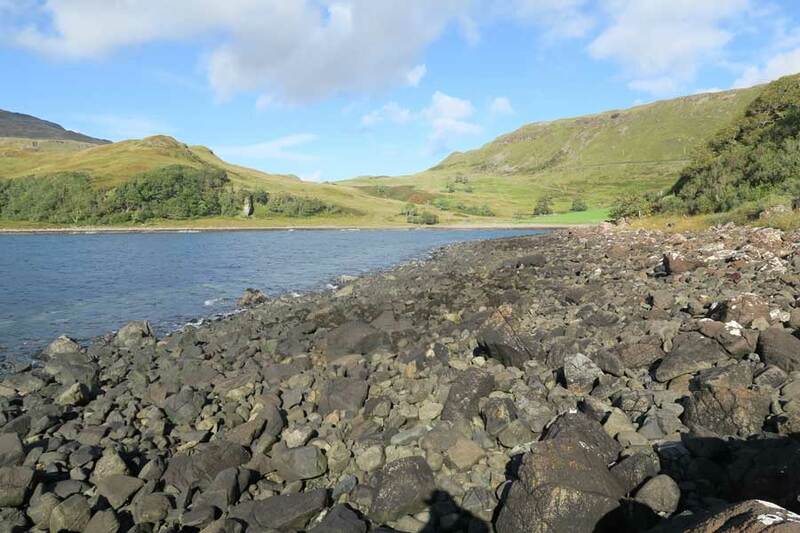 Camas nan Geall is also of archaeological interest with a Neolithic chambered cairn and a Bronze Age standing stone. 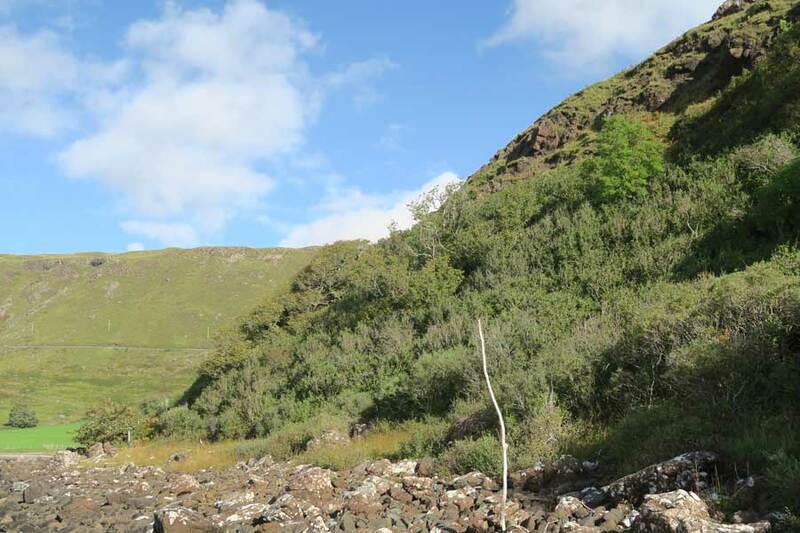 The Lochaber Geopark interpretation board at the viewpoint off the B8007 also gives a fascinating insight into the geology and local landmarks. 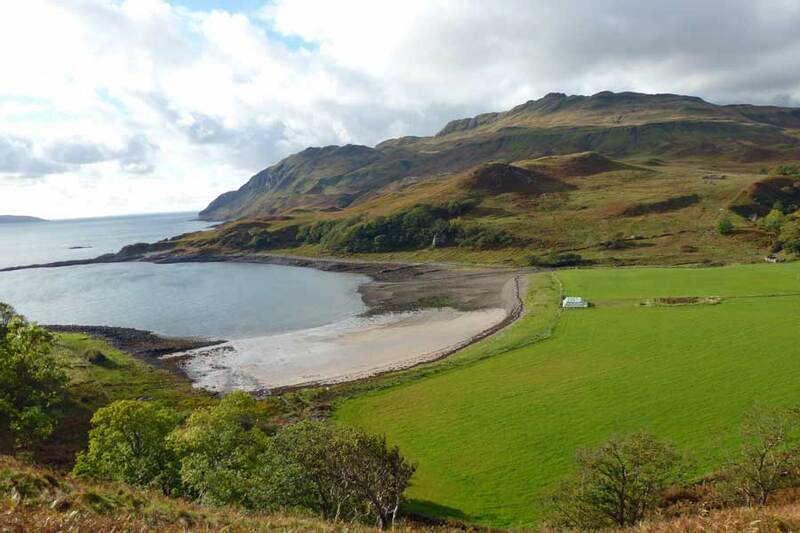 Camas nan Geall is one of the most photographed beaches on the Ardnamurchan peninsula, with fine views of the bay are afforded from a viewpoint off the B8007. 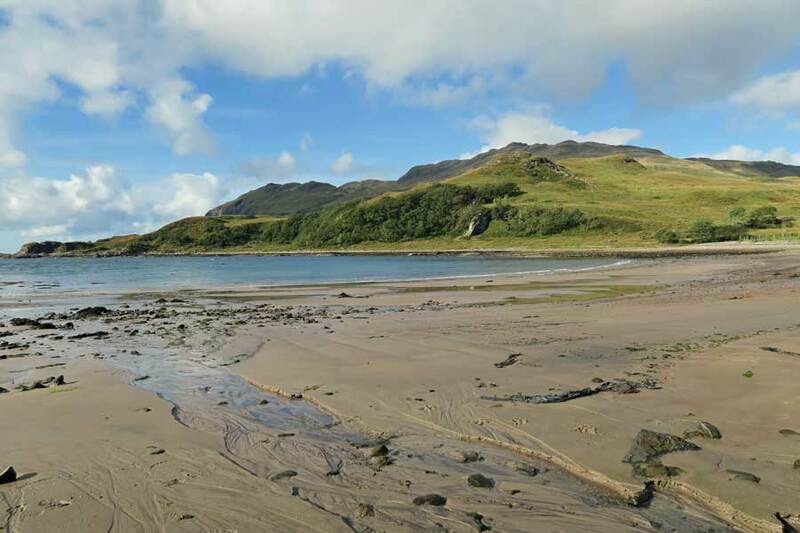 The beach can be accessed from the vewpoint on the B8007, a few miles west of the Ardnamurchan distillery and Ardnamurchan Natural History centre at Glenmore. 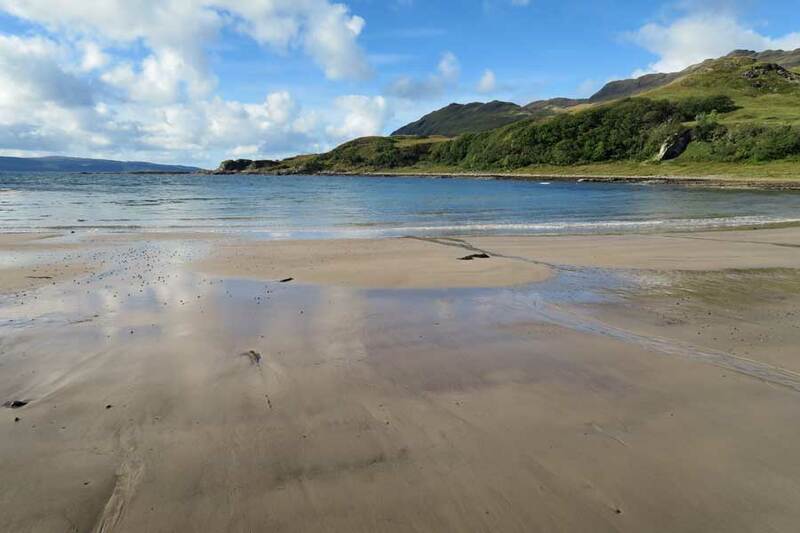 Walk down the track towards the beach passing by the ancient chambered cairn, standing stone and the Campbell graveyard and then on through a kissing gate to the shore.